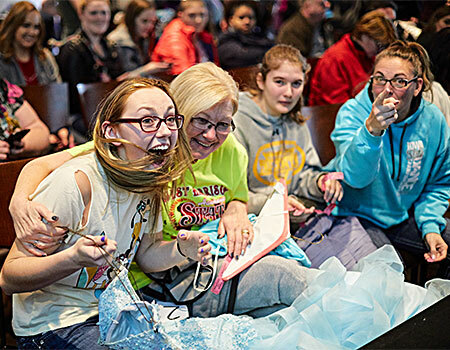 A young woman is ecstatic that she was the winner of this blue dress during the dress raffle at Ultra Chic Boutique in 2018. OMAHA, Neb. — Max I. Walker announces the 12th Annual Ultra Chic Boutique® dress sale. The 2019 event will once again benefit the Alzheimer's Association Nebraska Chapter. The event will take place 9 a.m. - 3 p.m., Sat., Feb. 2, 2019, at A View on State Street, located at 134th and State Streets here, it notes. Dress donations are now being accepted across the Omaha metro at all 22 of the cleaners’ locations. The company’s employees will clean, press, and store donated dresses at no charge, it relates. The dresses will then be sold at the once-per-year sale on Feb. 2, for just $30 each (cash only), it adds, with all proceeds being donated to the Alzheimer’s Association Nebraska Chapter. The funds raised for the Alzheimer’s Association will be used to further the Association’s mission to eliminate Alzheimer’s disease through the advancement of research; to provide and enhance care and support for all affected; and to reduce the risk of dementia through the promotion of brain health. The Ultra Chic Boutique began in 2007 with just a few hundred donated dresses and a small space to sell the gowns, the cleaners points out. “The concept has evolved into the full-fledged Ultra Chic Boutique event we know today, which includes fashion shows, The Dress FlipTM design competition, vendors and thousands of gowns,” it says. 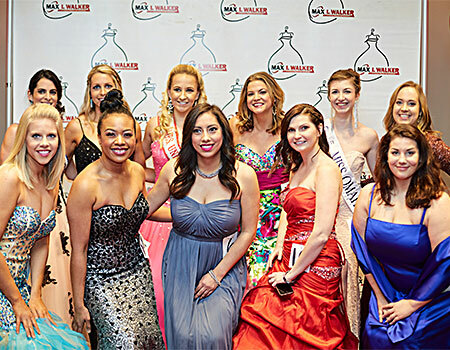 The 5th Annual Dress Flip is where event organizers choose several local fashion designers to take 3-4 donated dresses and apply their creativity to “flip” them into something completely new, the cleaners explains. “The dresses will be showcased during a runway show at the Ultra Chic Boutique by models from Develop Model Management and reviewed by a prestigious panel of judges from Fashion Institute Midwest. The winning dress will be announced at the Ultra Chic Boutique event, and its designer will win $500,” it says. Max I. Walker Cleaners & Launderers was founded by Max I. Walker on March 17, 1917. Over the past 101 years, it has grown into a company with hundreds of employees serving customers at 22 locations in Omaha, Elkhorn, Papillion and Bellevue, Neb. and Council Bluffs, Iowa, it says. Today, five generations later, Max I. Walker remains family owned and operated. The February 2018 sale raised $20,000 for the Association, it notes. The Alzheimer’s Association Nebraska Chapter serves all 93 counties in Nebraska. In addition to offering free education and support services, the Chapter also raises money for local and national research efforts through the Walk to End Alzheimer’s and The Longest Day events, it reports. For more information about the Alzheimer’s Association Nebraska Chapter contact Elizabeth Chentland, regional director of communications, at 402-739-8637, or e-mail echentland@alz.org.